H.H. 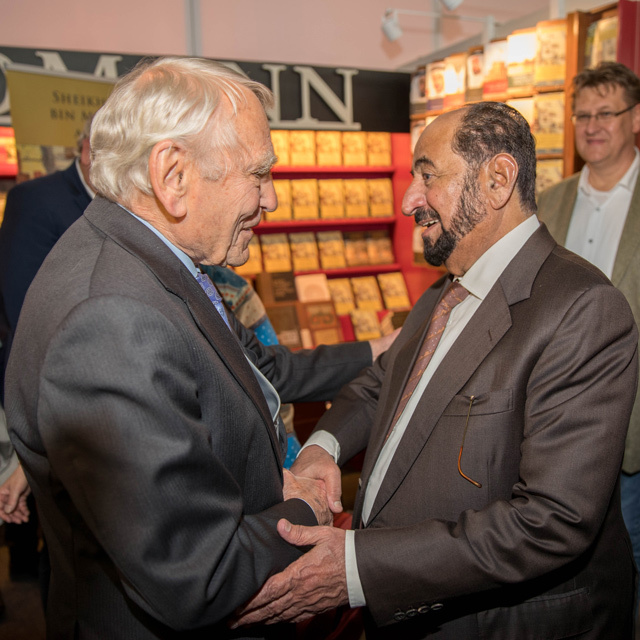 Dr. Sheikh Sultan bin Mohammed Al Qasimi, Supreme Council Member and Ruler of Sharjah, visited the Frankfurt Book Fair 2017 on Wednesday evening, in the presence of Sheikha Bodour bint Sultan Al Qasimi, Founder and President of the Emirates Publishers Association, EPA. During the visit, H.H. Sheikh Sultan visited Sharjah’s pavilion, set up by the Sharjah Book Authority, SBA. 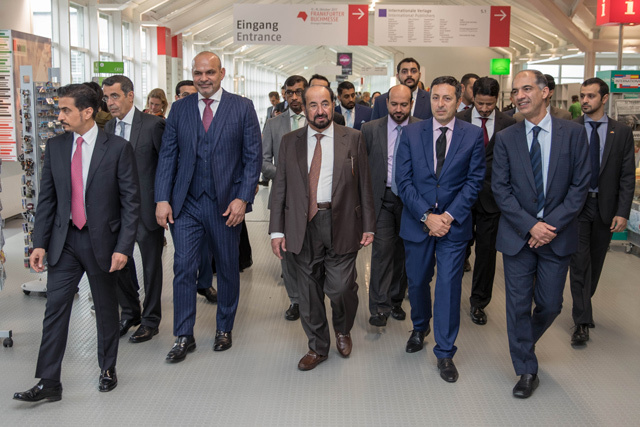 While touring the Sharjah pavilion, Sheikh Sultan went through the participants' books showcased under the umbrella of the SBA and was briefed on the main exhibits, including the latest versions of the Al Qasimi Publications. Brigadier Saif Al Ziri Al Shamsi, Commander-in-Chief of Sharjah Police, briefed H.H. Sheikh Sultan on the most significant publications of the Sharjah Police being exhibited at the pavilion. He was also briefed on the participation of the Sharjah Department of Culture and Information. Participating in the pavilion is a large number of institutions, including Sharjah Publishing City and Kalimat Publishing Group. 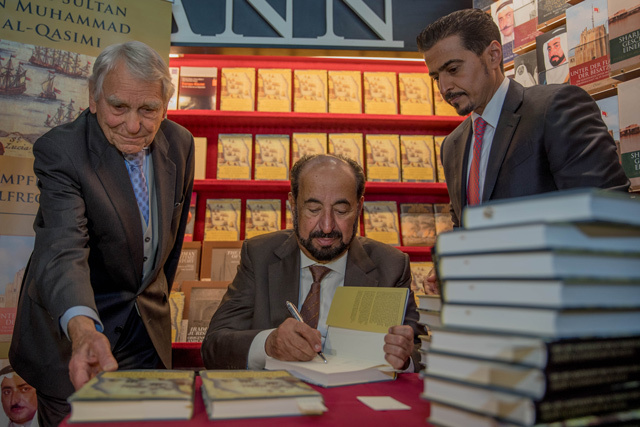 In the presence of several German intellectuals and readers, Sharjah Ruler inked his signature on the first copies of the German book "The Conflict between Power and Trade in the Gulf". H.H. Sheikh Sultan was accompanied by Ali Abdullah Al-Ahmad, UAE Ambassador to the Federal Republic of Germany; Abdullah bin Mohammed Al Owais, Chairman of the Department of Culture and Information in Sharjah; Abdul Aziz Taryam, CEO Advisor and General Manager of Etisalat Northern Region; Ahmed Rakkad Al Ameri, Chairman of SBA; Mohammed Hassan Khalaf, Director-General of the Sharjah Media Foundation; Rashid Mohammed Al Kous, Executive Director of EPA; and a number of Arab and foreign exhibitions’ directors, as well as several intellectual figures from around the world.